Home » News » All NEW Guldmann GHZ System! All NEW Guldmann GHZ System! A brand NEW Concept of hoist system with an innovative module IN THE RAIL. 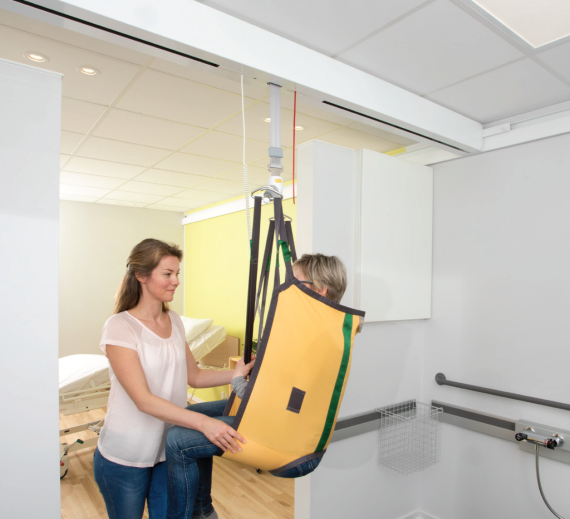 The New GHZ from Guldmann offers a discreet ceiling hoist system with minimal visual impact. The GHZ utilises the Guldmann wall rail tracking with an all new traverse rail that houses the new GHZ motor INSIDE the rail minimising the built-in dimensions. The GHZ offers an extra 147mm of lifting clearance making it ideal in domestic situations or areas with lower ceiling heights. The sleek simple design is easy to clean and lends itself to being built in to a storage cupboard for a minimal appearance. For a brochure click here. To find out more or request a free survey and quotation call 0845 838 0600 or email info@taylordolman.com.